Absol's history dates back to 1996 when it was founded by 4 dedicated individuals, each with their own unique areas of expertise, that identified an opportunity to provide a full suite of IT services to customers seeking a superior level of service. Over two decades later, Absol has excelled through the peaks and troughs of the dotcom era and continues to stay true to the original goal of providing cost-effective, innovative solutions coupled with unparalleled service levels. View our timeline to discover the events that helped shape the company. Absolute Solutions cc is founded by Mac Anamourlis, Richard Taylor, Lauren Taylor and Robin Bulling with the mission of providing a holistic solution to companies requiring hardware, networking, software, accounting and internet services with a focus on personal service and cutting edge technology. "For all your computer, network, accounting and internet solutions" The company sets up its operations in Lauren's 2-bedroom flat and hits the ground running by securing 4 customers, Johnson & Johnson Pharmaceuticals, The Clinix Hospital Group, Madison Advertising and The Look Guide. 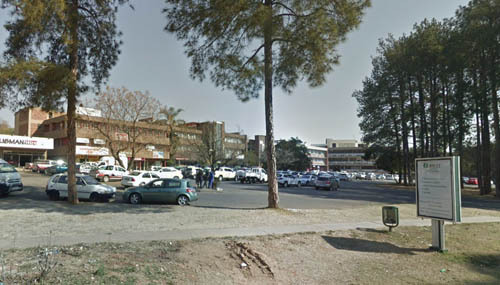 Formal offices are leased at 1st floor Patula Building in Lynnwood Glen, Pretoria. Our first internet software development solution is proposed, and subsequently ordered by an international accounting firm; Deloitte & Touche, followed swiftly by an order from Magic Travel for a corporate website. Absol acquires the franchise rights, infrastructure and customer base of the Pretoria branch of Le Club Internet (LIA). A total of 80 dial-up customers serviced by 8 modems are transferred and infrastructure is immediately upgraded to 16 modems in anticipation of an aggressive customer acquisition strategy. The ISP is later re-branded as Club Internet. Club Internet Pretoria, a division of Absolute Solutions cc, becomes the first ISP in Gauteng to provide ISDN dial-up internet access. Absol is hired by Allied Bank to develop their online presence. The website encompasses elements not previously seen on South African websites; including JAVA based financial calculators and an interactive wizard guiding users through the site. Through a partnership with 3Com/USRobotics, Club Internet Pretoria, a division of Absolute Solutions cc, becomes the first ISP in Gauteng to provide 56k dial-up internet access. Absol relocate to bigger and better offices in Jacqueline Drive, Garsfontein. In a joint venture with Station Africa (An Inmarsat Service Provider), Absol begins marketing Africa's first internet access service via VSAT portable satellite terminals. New Frontiers expedition launched. Co-sponsored by Absolute Solutions, the expedition follows a group of 6 Land Rovers travelling from Johannesburg to Birmingham up the East Coast of Africa. The expedition leader, utilising a notebook and satellite terminal, post daily reports on an interactive website developed and maintained by Absol. An educational schools project is launched in tandem with the New Frontiers expedition, which sees Club Internet provide 100 schools nationwide with free internet facilities. The giveaway is valued at over R 500,000.00 and marks the first such investment in education by an internet company in South Africa. Absol, Club Internet and New Frontiers are profiled in the Sunday Times and on Radio 702 for their charitable donation and investment in education. The first of two primary rate ISDN connections is installed taking our dial-up connection capacity up to 50 modems. The National Intelligence Agency, Royal Dutch Embassy and Moneyweb join Absol's customer base. Absol is awarded the contract to supply the prestigious private girls' high school, St Mary's DSG, with all their computer equipment and internet services. The school now provides its students with world class IT, Media and internet facilities, pioneering the path for other schools in Pretoria. An online interactive discussion forum is developed and hosted for Moneyweb, generating a high volume of traffic unique to the popular financial website. The second primary rate ISDN connection is installed taking our dial-up connection capacity up to 80 modems. Following unprecedented growth, the 2-year old ISP division of Absolute Solutions registers its 1000th dial-up internet customer - a growth rate of 700% per annum. A strategic decision to invest the funds garnered by the sale of the ISP division into Absol's internet software development division is approved and the ASPEN (Absolute Solutions Publishing Environment) content management system is conceived. Weeks later, the first version of AbsolStats goes live. USA Embassy joins Absol's customer base. The Embassy of the United States of America joins Absol's customer base. Initially developed as a custom solution for Moneyweb, the AbsolBanners internet advertising delivery and campaign management service is launched. Absol secures the development contract to build the Cumulus corporate web site. A division of Denel, Cumulus markets weapons guidance systems and military technology to international markets. Moneyweb is listed on the Johannesburg Stock Exchange. Over 300 websites have registered and utilise the free internet audience measurement service: AbsolStats. A sub-site of the financial services portal run by the JSE listed company; E-Data, becomes the first ASPEN powered web site. Media Africa, led by internet doyen and leading journalist; Arthur Goldstuck, choose ASPEN for all their internet publishing and website management needs. Gadget is launched. Absol deploy their first international server in Toronto Canada, providing a web hosting service to Moneyweb's international Miningweb division. Absol welcomes the new millennium (albeit a year premature) without any Y2K technical incidents. Absol has also successfully assisted over 50 customers in updating their systems in anticipation of the IT industry's biggest challenge ever. Cosmetics company Annique, awards a tender for the development of an ERP, CRM and E-commerce enabled internet site to Absol. Consumer internet service provider, Netactive Internet, contract Absol to develop a range of internal software solutions to improve their billing processes and integrate their bandwidth management systems. Toyota South Africa commission Absol to develop the Toyota Press Web Site, an online repository of all media material issued by Toyota's marketing department. Absol develops the PlanetPastel portal for Pastel South Africa utilising our ASPEN product. Liberty Life appoints Absol to develop a user-friendly website management and design application to be issued to all 600 financial intermediaries who are allocated a website within Liberty Life's corporate internet presence. BDFM, publishers of the Business Day and Financial Mail join Absol's customer base. Absol develop the 3-D virtual environment viewer for Virtual Tours, the application is utilised by the majority of Estate Agents websites in South Africa. 1st Tier ISP, Worldonline, contract Absol to provide AbsolStats internet audience measurement services to its customer base. ASPEN version 3.0 is launched and re-branded as AbsolPublisher - the system is now a comprehensive content management system which competes with the best in the world. The Africa Business Direct portal is launched, running the AbsolPublisher CMS, the site indexes several hundred resources for import/export and logistics services. Absol's MD appointed to ABIS. Absol's MD, Mac Anamourlis, is appointed to the executive committee of the Audit Bureau of Internet Standards (ABIS). Microsoft Certified Partner status is attained. Internet Solutions and Absol formalise a relationship that will see IS representing the AbsolPublisher product to its corporate client base. Absolute Solutions develops a new website for YFM Radio Station. The AbsolPublisher development attracts the attention of Microsoft who publish a case-study showcasing the technology. Absol now employs 27 staff members. AbsolStats has over 10,000 registered websites and AbsolBanners is delivering over 1 Million adverts per month. Absol temporarily moves into the offices of Softline sister company ATS in Centurion, synergies between the two companies are identified. Absol develops a corporate website for BusinessVision, a software company based in Toronto, Canada. Absol deploys infrastructure in Sydney, Australia, providing internet hosting services to international mining companies: Durban Roodepoort Deep and Goldfields Limited. Absol is awarded the tender to develop an AbsolPublisher driven internet presence and web-based recruitment engine for leading Australian payroll and services company, MicrOpay. Masterskill outsource all development and technical support services to Absol. ATS successfully conclude a management buyout from Softline. Absol relocates to their original premises in Jacqueline Drive, Garsfontein. Absol deploy their second international server in London, United Kingdom, providing a web hosting service to Moneyweb's international divisions. Absol, together with BEE partner Erasibo are awarded the tender to develop the ''Presidential International Advisory Council on ICT'' portal by the Department of Communications, using the AbsolPublisher CMS. Softline de-list from the Securities Exchange. Softline announces their intention to de-list from the Johannesburg Securities Exchange. Absol develop another AbsolPublisher solution for the Department of Communications, this time the Language Portal is built for Nemisa as part of the SA Cultural development initiative. Absol deploys an AbsolPublisher solution for Fertiliser Society of South Africa. Absol deploy an AbsolPublisher solution for the Fertiliser Society of South Africa. Absol launches a brand new version of the AbsolStats service, announcing that the free service is to be discontinued in favour of a purely commercial service. Over 17,000 web sites have been registered during the service's history. Australian accounting company, Sybiz, join the growing list of international companies making use of the AbsolPublisher content management system. Absol relaunch a refreshed YFM website, the site makes use of the AbsolPublisher, AbsolBanners and AbsolStats products - all management and maintenance services for the radio station's web hosting services are outsourced to Absol. Absol is invited to collaborate with the Tshwane University of Technology, Department of Business Applications and IT Management. Absol deploys a wireless internet (WiFi) hotspot at the Zone in Rosebank on behalf of the YFM radio station. The management and staff of Absol Internet Business Solutions (Pty) Ltd successfully conclude a management buyout from Softline and Sage PLC. Absol is accepted into the Microsoft Certified Business Solutions Partner program. Absol's MD is nominated to the advisory committee of the Tshwane University of Technology, Business Applications and IT Management department. Absol's new corporate image, branding and web site are launched. ISP division is re-launched. Absol now provides 56k and ISDN dial-up internet access, as well as ADSL internet connectivity to the SME and corporate markets. Absol was awarded Microsoft's .NET Connected Logo certification for its online Internet audience measurement, tracking and analysis application, AbsolStats, which successfully passed Microsoft testing and verification in July 2004. US based mining portal, Resource Investor, is developed and launched by Absol. AbsolPublisher is chosen as the ComputerWeek Strategist winner of the 2004/2005 "Best of Breed" Content Management System. Absol deploy and manage a Cyber Cafe and Wi-Fi (Wireless internet) hotspot during the 10th Annual Investing in African Mining Conference held at the Cape Town International Convention Centre. Together with long-time client, and business partner, Executive Business Brief, Absol exhibit at the 2005 Futurex Conference and Exhibition. South Africa's largest ICT trade faire. At the annual Sun Microsystems Volume Product Reseller awards evening, Absol was acknowledged as one of the top 5 resellers/partners in Southern Africa. Upgrades and feature additions were rolled out to all AbsolPublisher customers. Most significantly the Control Panel, Metrics System and Menu Component were added to the administration system. A new version of AbsolBanners is launched, now a fully .NET enabled application, the system is deployed on our South African servers and our servers in New York, USA. The new version provides several new features and is much more scalable than before. Tight integration with AbsolPublisher improves the campaign management and reporting facilities. Absol further enhanced the AbsolPublisher product by developing a Document Queuing facility and My Documents management control panel. The CMSone Hosting Environment was deployed to meet and exceed the demands of our AbsolPublisher customers. The management and staff of Absol Internet Business Solutions are looking forward to a fantastic 2006, in this, the 10th year of business for our company. Alex Shiells, development manager at Absol, and Mac Anamourlis, CEO, present a workshop at the 2nd Annual Intranets Conference held in Midrand, South Africa. Three websites are launched for the National Productivity Institute, powered by the AbsolPublisher content management system. Absol is awarded a government tender to supply a multi-million Rand Sun Microsystems Blade and Storage solution. Details of the transaction and the client are confidential, but the equipment includes a Sun Blade 6000 solution with over 120 Processor Cores and 40 Terabytes of storage! For the 12th year in a row, Absol deploys and manage IT infrastructure during the 21st Annual Investing in African Mining Indaba Conference held at the Cape Town International Convention Centre.